The “Enhancing Climate Change Adaptation in the North Coast of Egypt” project aims to protect the densely populated low-lying lands in the Nile Delta, the home of 25 percent of the Egyptian population, which have been identified as highly vulnerable to climate change induced sea-level rise. The project will be implemented by the Ministry of Water Resources and Irrigation with a total budget of US$ 31.4 million over seven years. Sea-level rise will have a direct and critical impact on Egypt’s infrastructure and development along the low coastal lands. Egypt relies on the Nile delta for prime agricultural land, accordingly coastal inundation or saline intrusion will have a direct and critical impact on Egypt’s entire economy. The number of extreme weather events inducing casualties and economic losses have increased significantly in Egypt over the last ten years. These extreme events have flooded major cities, destroyed infrastructure and disturbed economic activities. In the countryside it has destroyed homes and agricultural lands, and disrupted development initiatives and the Government of Egypt's work to meet sustainable development goals. The GCF-financed project will expand the use of low-cost dikes system to prevent the flooding of the low-lying lands from sea surges during extreme weather events. The dike system was first tested under the pilot level under the GEF Special Climate Change Fund (SCCF) project. The project will also support the development of an Integrated Coastal Zone Management Plan (ICZM) for the North Coast of Egypt that links the plan for shore protection from sea-level rise with the national development plan of the coastal zones. The ICZM plan will be associated with the establishment of a systematic observation system to monitor Oceanographic parameters changes under a changing climate as well as the impact of the different shore protection scenarios on the coastal erosion and shore stability. The "soft” coastal protection measures will directly benefit approximately 768,164 people and indirectly benefit 16.9 million people in urban and rural communities. The Enhancing Climate Change Adaptation in the North Coast of Egypt project will reduce coastal flooding risks in Egypt’s North Coast due to the combination of projected sea level rise and more frequent and intense extreme storm events. The first output of the project focuses on the installation of 69 km of sand dune dikes along five vulnerable hotspots within the Nile Delta that were identified during an engineering scoping assessment and technical feasibility study. This will provide a “beneficial reuse” for existing maintenance dredged material from a number of local sources that are operating under existing Government of Egypt approvals. The second project output focuses on the development of an integrated coastal zone management (ICZM) plan for the entire North Coast, to manage long-term climate change risks and provide Egypt with adaptability to impending flood risks. These measures would limit potential displacement of local coastal communities and reduce the number of young people who otherwise would be compelled to search for immigration opportunities. The barriers that will be addressed by the proposed project include a lack of high quality data to inform planning decisions; absence of a suitable framework for implementing integrated approaches to coastal adaptation; weak institutional coordination to build coastline resilience to sea level rise impacts; the significant reduction of dredge material that would otherwise be disposed into the marine environment; and low institutional capacity to anticipate and manage expected sea level rise impacts. The proposed project will facilitate transformational change in the short-term by reducing coastal flooding threats along vulnerable hotspots in the Delta and in the long-term by integrating additional risks of climate change into coastal management and planning, budgeting and implementation of risk reduction measures. The “soft” coastal protection measures will directly benefit approximately 768,164 people and indirectly benefit 16.9 million people in urban/rural communities. They have been designed to mirror natural coastal features and/or sand dunes and will transform the areas from high to low risk zones for coastal flooding. They will be stabilized with a combination of rocks and local vegetation species to encourage dune growth by trapping and stabilizing blown sand. Importantly, the coastal protection measures will provide beneficial reuse of existing dredge material that would otherwise be disposed into the marine environment. The ICZM plan will provide benefits through capacity building to enable high resolution diagnosis of coastal threats, updated regulatory and institutional frameworks to account for sea level rise, and a coastal observation system for ongoing data collection/analysis. The project is aligned with the Government of Egypt's (GoE) priorities as outlined in its Nationally Determined Contribution to the Paris Agreement and is line with Egypt’s Country Work Programme, as submitted to the Green Climate Fund (GCF). Based on a request made to UNDP by the National Designated Authority (Egyptian Environmental Affairs Agency NDA; Coastal Research Institute (CoRI) and Shore Protection Authority (SPA)), the project is also a part of UNDP’s Work Programme to the GCF and is aligned with Government’s priorities to focus on as per the Country Programme Document, which outlines UNDP’s foci in Egypt. The IPCC has singled out low-lying river deltas to be one of the most vulnerable systems to climate change and sea level rise. Low-lying river deltas are home to millions of people, highly productive agricultural lands, industrial/transport infrastructure and valuable touristic assets. Compounding the vulnerability of these areas is the fact that deltas, areas of land formed from sediment where a river flows into the sea, are sinking due to both natural factors (i.e., compaction of river sediments over time) and anthropogenic factors (construction of dams that restrict the flow of sediment that would otherwise reach the river mouth and build up delta lands, groundwater abstraction). The downward motion heightens vulnerability to coastal flooding, particularly when combined with sea-level rise. One of the three most vulnerable deltas in the world to climate change is the Nile Delta in Egypt. This region accounts for more than 50% of Egypt’s economic activity through agriculture, industry and fisheries. The Nile Delta contributes about 20% of the Egypt’s GDP and account for the largest source of employment, around 30% of the labor force. As Egypt does not produce enough food to feed its current population, any loss of prime agricultural land due to coastal flooding from sea level rise will have a direct adverse impact on the livelihoods of millions of people and lead to hardship throughout the entire economy. Coastal areas in the Nile Delta are especially vulnerable to climate variability and changes in sea level. Extreme events that result in increased sea level events, driven by the combination of high tides associated with sea level rise and storm surges, have led to devastating coastal flooding and millions of dollars in damages. The impacts, including the loss of life during coastal floods in Alexandria in 2015, as well as flood waters reaching and threatening to damage the international coastal road located hundreds of meters inland were significant. The rate of sea level rise for the Nile Delta ranges between 3.2 - 6.6mm/year and is due to three major factors; globally rising sea due to thermal ocean expansion; locally sinking land due to compaction of sediments; and loss of annual replenishment of sediments. The IPCC concludes that global mean sea levels have risen between 2.8 and 3.6mm/year from 1993 to 2010. During the same period, local land subsidence has been evident across the entire Delta, with actual rates ranging from about 0.4mm/year in Alexandria to the West to around 3mm/year in Port Said to the East. Coastal areas in the Nile Delta will be more vulnerable to an increasing frequency and intensity of extreme coastal storms associated with sea level rise. As with many climate change modeling outcome, regional projections at the spatial scale of the Nile Delta suggest that the southern Mediterranean has already seen a measurable increase in the number of natural disasters: from an average of three natural disasters/year in 1980; to an average of>15/year in 2006. An increase in frequency and severity of storm surges is already evident ; and the continuation of rising seas, sinking lands, and more frequent and intense storms is a necessary inference from the review of recent trends and future climate change forecasts. Economic damages from climate change induced sea-level rise on the North Coast of Egypt has been and will continue to be direct and far-reaching. As of 2017, much of Egypt’s population, industry, agriculture, private sector and tourism infrastructure and development is located along the northern low coastal lands, and the reliance on the Nile Delta for prime agricultural land is critically important to the country’s economy. Studies on the vulnerability of Alexandria, indicated that sea level rise of 0.3m would lead to infrastructure damage worth billions of dollars, displacement of over half a million inhabitants, and a loss of about 70,000 jobs. Moreover, the Nile Delta’s coastal lagoons are among the most productive natural systems in Egypt and they are internationally renowned for their abundant bird life. Approximately 60% of Egypt’s annual fish catch are from three main Delta lagoons, Idku, Burullus and Manzalla, separated from the Mediterranean by 0.5- 3km sand belt and dune system. Coastal flooding and/or permanent inundation of these areas would lead to a decline in water quality in coastal freshwater lagoons and corresponding adverse impacts on fisheries and biodiversity. The project will enable reducing vulnerabilities of assets and populations through promoting and scaling up a set of “soft engineering solutions” and ecosystem-based coastal protection measures that can sustain proper ecosystem functioning and productivity in each of the coastal lagoons such as the conservation of existing wetlands and enhancement of their functionality. A UNDP-GEF-SCCF Climate Change Adaptation in the Nile Delta Project has tested the design and feasibility of several soft engineering solutions for coastal protection (namely beach nourishment and using of geotubes and low cost soft dikes to alleviate impacts of extreme weather events on infrastructure and human settlements) per the geomorphologic, climatic, and development characteristics of the Nile Delta area. The initial results confirm the effectiveness of these designs and have been accepted by the Egyptian coastal engineering community. The project will scale up the use of soft engineering solutions and ecosystem-based approaches to coastal protection. The proposed interventions are no-regret interventions that need to be done no matter what priorities emerge from the ICZM plan given the incidence of coastal flooding that is currently occurring. It will support the implementation of specific measures include developing a ‘vegetative buffer’ structure for coastal protection, re-nourishing beaches, reinforcing sand dune systems as a defense mechanism, re-vegetation to stabilize seabed sediment, wetland restoration and the establishment of conservation zones to preserve essential coastal habitats. Activity 1.1 focuses on the development of soft coastal protection (pre-construction) detailed designs, and site-specific assessments undertaken for protecting 69 km of the Nile Delta in 5 vulnerable hotspot locations. Sub-Activity 1.1.1: Generation of local data needed to characterize the vulnerable hotspot locations including, but not limited to, digital elevation maps, geomorphology, wave characteristics, storm events, erosion/accretion trends, and other data needed to assess the suitability of soft coastal protection measures subject to the combined impact of sea level rise and extreme storm events. Sub-Activity 1.1.3: Finalization of all in-depth design documents, specifications, and engineering drawings necessary for the development of a comprehensive bill of quantities for the soft protection measures. Sub-Activity 1.2.1: Initiate a tendering process to select local contractor(s) to construct the coastal protection measures, including quality control requirements, based on the finalized design documents and bill of quantities. Sub-Activity 1.2.2: Carry out all site preparation activities associated with clearing, grubbing, stripping, dewatering and any other activities associated with site preparation at the five locations. Sub-Activity 1.2.3: Construct the 5 coastal protection measures, including all excavation, fill placement/compaction, rip-rap placement, geotextile placement, and final grading. Sub-Activity 1.3.1: Develop a soft coastal protection maintenance manual to govern future maintenance and rehabilitation activities, tailored to Nile Delta conditions. Sub-Activity 1.3.2: Codify the procedures in the manual within the governing regulations of the SPA. Sub-Activity 1.3.3: Conduct operations and maintenance activities over the lifetime of the project consistent with the coastal protection maintenance manual. Output 2: Development and implementation of an integrated coastal zone management plan (ICZM) for the entire North Coast of Egypt. The impacts of climate change on the north coast, especially regarding sea level rise, will further place the Nile Delta and the entire North Coast at risk. On the one hand, impacts such erosion and flooding will increase under different climate change scenarios with sea level rise, causing damages and losses in the coastal system (infrastructures, housing, livelihoods, coastal resources, etc.) leading to human migration outside and inside the country. On the other hand, key stakeholders will need stronger mechanisms to collaborate and join forces to face climate change challenges. A shift away from business-as-usual practices in coastal management is needed urgently to cope with sea level rise which is already occurring. The goal of long-term resilience building and risk reduction under climate change threats in the north coast requires a new planning paradigm, one offered by the implementation of the ICZM plan. Sub-Activity 2.1.1: Characterization of marine dynamics based on the numerical modelling of wind, waves, currents and sea level change in the future. Sub-Activity 2.1.2: Establishment of coastal modeling systems consisting of databases, methods and tools suitable for modeling shoreline dynamics in the North Coast context. Sub-Activity 2.1.3: Conducting high-resolution hazard assessment under a set of climate change scenarios to develop flooding maps that account for storm surge inundation levels that factor in projected sea level rise. Sub-Activity 2.1.4: Conducting of vulnerability and risk high resolution assessment under climate change scenarios to integrate the exposure of coastal areas and their sensitivity to flooding and erosion impacts. Sub-Activity 2.2.1: Development of a Shoreline Management Plan for climate change adaptation to define the most promising shoreline management measures for climate change adaptation, and their implementation strategy. Sub-Activity 2.2.2: Development of a regulatory and legislative framework to ensure the effective implementation of climate change adaptation activities under ICZM principles. Sub-Activity 2.2.3: Development of an institutional governance mechanism at the national and governorate levels to ensure a shared ownership of the ICZM Plan with concerned authorities and civil society groups in the planning process. Sub-Activity 2.2.4: Establishment of the monitoring and evaluation system to enable managers to take appropriate corrective actions to achieve the expected results of the plan by evaluating the progress of the plan implementation. Sub-Activity 2.3.1: Assessment of capacity needs for ICZM planning to catalog on-going coastal management capacity building activities, and to identify gaps in skills, knowledge and attitudes for the practice of ICZM and climate change adaptation. Sub-Activity 2.3.2: Transfer of coastal observation and modelling systems to coastal management to ensure that staff from selected institutions have the necessary scientific knowledge to assimilate and integrate both the coastal observation and modelling systems. Sub-Activity 2.3.3: Design and implementation of modular training program for MWRI/SPA and EEAA to build skills for professional development of coastal management practitioners, in a diversity of capacities (e.g. policy positions or day-to-day management). Sub-Activity 2.3.4: Design and implementation of the modular training program for other stakeholders to be able to collaborate and actively participate in the implementation of the ICZM Plan. Sub-Activity 2.3.5: Monitoring and evaluation of the capacity building program's results. Sub-Activity 2.4.1: Procurement and installation of an observation/monitoring equipment relative to meteorological, oceanographic, networking, and other operational objectives for coastal zone management of climate change induced risks on coastal areas. Sub-Activity 2.4.2: Development and implementation of a capacity building programme for MWRI/SPA and EEAA that focuses on training in the operation of all elements of the national observation system, including systems for coordination with coastal zone analysts/modelers who will use the data generated. Sub-Activity 2.4.3: Design and implementation of a quality control/assurance programme amongst the participating institutions and agencies for the collection, evaluation, and distribution of data generated from the various components of the national observation system. Egyptian General Authority for Coast Protection is set to implement several protection projects on the shores of the Mediterranean Sea to protect them from the adverse effects of climate change. Protection projects should be implemented to some beaches in five different governorates that are believed to be threatened by climate change. The projects aim to enhance the beaches' adaptation to the effects of climate change on the northern coasts and the Nile Delta. Egypt has received a grant from the Green Climate Fund and the United Nations Development Program (UNDP) worth US$31.5 million, to protect its cities most at risk from climate change, and sea level rises of about 70 km. According to a press statement released by the Ministry of Water Resources and Irrigation, the project will be implemented over seven years, and the agreement will officially signed by the end of this month. The project aims to build a 60-kilometer long wall along the coast of the Nile Delta. Minister of Water Resources and Irrigation Mohamed Abdel Atty said that the ministry will ascribe great importance to the coastal areas of the Central, East and West Delta, which include the governorates of Port Said, Damietta, Dakahlia, Kafr El Sheikh and al-Beheira. These regions are the most vulnerable to the risks of climate change and rising sea levels, while holding a large concentration of people, industry, agriculture, tourism and development projects. In addition to the total submergence of low-lying coastal areas, Abdel Atty noted the risk of severe storms. Such risks prompted the Ministry of Water Resources and Irrigation to establish a long-term plan to protect all coastal areas exposed to erosion, with investments estimated at about LE 3 billion. The Green Climate Fund (GCF) 18th Board meeting, convened in Cairo, has approved the United Nations Development Program (UNDP) Project entitled “Enhancing Climate Change Adaptation in the North Coast of Egypt” to be implemented by the Ministry of Water Resources and Irrigation. With a total budget of $31.4 million over seven years, the project aims to protect the densely populated low-lying lands in the Nile Delta, the home of 25% of the Egyptian population, which have been identified as highly vulnerable to climate change induced Sea-Level Rise (SLR). The SLR will have a direct and critical impact on Egypt’s infrastructure and development along the low coastal lands. The Green Climate Fund (GCF) approved on Sunday a $31.4 million United Nations Development Programme (UNDP) project to protect Egypt's Nile Delta from rising sea levels due to climate change, the UNDP said in a press statement. The project titled “Enhancing Climate Change Adaptation in the North Coast of Egypt” will be implemented by the Egyptian Ministry of Water Resources and Irrigation over seven years. The GCF is a global fund that offers support to developing countries to deal with the challenge of climate change. The approval for the project came during the GCF's 18th board meeting in Cairo from Saturday to Monday. The "Scaling up Climate Resilient Water Management Practices for Vulnerable Communities in La Mojana, Colombia" aims to benefit more than 400,000 people, who will participate in strengthening water management, early warning systems and creating livelihoods resilient to climate change. The US$117 million project will be implemented by the Colombia’s Adaptation Fund, among other national organizations, with the support of the United Nations Development Program (UNDP). The effects of climate change on La Mojana are severe. The income of its inhabitants is being affected by the loss of crops as well as by large-scale changes to their ecosystems, which translate into increased flood risks and prolonged periods of drought that are putting the lives and livelihoods of smallholder farmers at risk. These pressures induced by climate change are weakening the already threatened water sources in the region, according to the Government of Colombia, affecting both the supply and quality of water that communities need to drink and water crops. 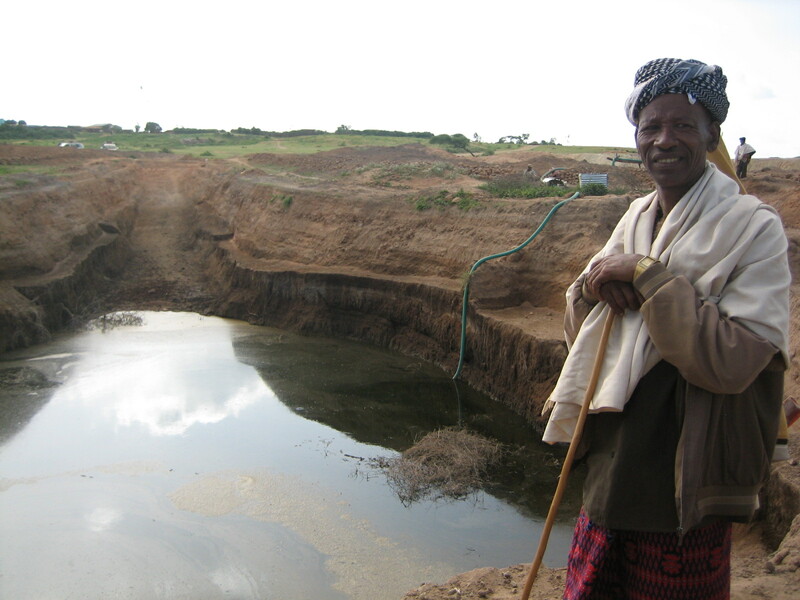 The project puts sustainable ecosystem management at the leading edge of disaster risk reduction by promoting healthier watersheds, protecting communities from floods and supporting poor rural populations to overcome water scarcity during the prolonged dry seasons. This ecosystem-based approach will also work towards achieving Colombia's Nationally Determined Contributions and a low-emission future, and will serve as a model to implement the first comprehensive climate-adaptive regional development plan. This includes the adoption of a long-term risk reduction strategy based not only on infrastructure but also on restoring ecosystem services for regional water management and the direct empowerment of vulnerable communities and regional authorities to manage projected climate risks. The project will also share new tools and technologies, such as the use of solar power and rain-water harvesting to address long-term water supply problems. This project was built with the support of local institutions, in particular from the Governor of Sucre, the municipalities of Guaranda, Majagual, Caimito, San Marcos, San Benito and Sucre-Sucre in the department of Sucre; Achí in the department of Bolivar, and Ayapel in the department of Cordoba. The universities of Cordoba and Sucre and the Regional Autonomous Corporation of the valleys of Sinú and San Jorge, CVS and Corpomojana, also participated. The most vulnerable communities in La Mojana also participated actively in the formulation of the project, including consultations with peasant and women associations, as well as the Zenues councils and the community councils of Afro-descendants. The project scales up results that have been achieved in Colombia through other initiatives of the National Environmental System supported by UNDP, such as the Reducing risk and vulnerability to climate change in Colombia project. US$61.8 million in co-financing from Colombia’s Adaptation Fund and US$17 million from local entities. The Scaling up Climate Resilient Water Management Practices for Vulnerable Communities in La Mojana, Colombia project supports the Government of Colombia in scaling up climate resilient integrated water resource management practices in La Mojana - one of the poorest and most climate vulnerable regions in Colombia. Extreme events, such as intense flooding and prolonged dry seasons have caused significant impacts to the population with climate projections expecting these to become more frequent and intense. Loss of agricultural crops that sustain livelihoods, significant changes to ecosystems that have previously provided a buffer to flooding, and adverse impacts from prolonged dry periods are common and worsening with time. In addition, climate change induced pressures are straining already stressed water sources in the region, affecting both supply and quality. The government of Colombia has formulated the Climate Change Adaptation Action Plan for La Mojana (La Mojana Action Plan). This action plan differs from past approaches in the region which were reactive and focused on infrastructure solutions that failed to address comprehensive risk. The La Mojana Action Plan in turn promotes a comprehensive approach combining structural and ecosystem-based measures tailored to the environmental and socio-economic conditions of the local population, in order to adapt to projected floods. The Action Plan, which is being implemented by the Adaptation Fund of Colombia (AF), was formulated based on studies, assessments and hydrological models of the La Mojana region including flooding dynamics as well planning processes that include national, regional and local stakeholders. The plan is innovative in that it prioritizes investment in adaptive and sustainable infrastructure, sanitation, socio-economic development, environmental dynamics recovery and strengthening of governance and local capacities It does this however mostly focusing flood mitigation aimed at protecting large economic drivers and investing in infrastructure such as housing, public works, and wetland canal restoration. This project will tackle barriers derived from climate change related to lack of access of water sources directed at local populations, loss of resilience of natural ecosystems, limited access of early warning services and products, unsustainable management practices affecting household resilience, non-adapted local livelihoods to climate variability and limited knowledge on relevant issues related to integrated water management resources. The project will have the objective to enhance climate resilience of vulnerable communities in the La Mojana by focusing on four outputs aimed at: (1) Systemizing knowledge management of the impacts of climate change on water management for planning purposes, (2) Promoting climate resilient water resource infrastructure and ecosystem restoration (3) Improving Early Warning Systems for Climate Resiliency and (4) Enhancing rural livelihoods through climate resilient agro-ecosystems. Activities will focus on developing technical models and guidelines to enable decision making for long term water management planning, systemizing existing and new knowledge on water management in projected climate scenarios, investing in individual and community alternative water solutions, wetland restoration to recover its valuable water management services, developing climate adapted rural productive practices through technologies and scientific research and collection of traditional best practices, enhancing early warning systems monitoring and products, investing in climate resilient home gardens for crop diversification, and rural extension services. The first comprehensive climate adaptive regional development plan will serve as a model for the rest of Colombia. This includes adopting a long-term climate change risk informed disaster risk reduction strategy that is based not solely on infrastructure but also on restoring ecosystem services for regional water management. Hence it will revolve around restoring the original hydrology of the wetlands, adapting the local economy and livelihoods to the natural variation in the level of water in the wetlands through the seasons by directly empowering vulnerable communities and regional authorities to manage climate risks. It will also allow the implementation of new technologies to overcome threats posed by climate change impacts on the availability of water supply. The project scales up results that have already been tried and tested in Colombia while promoting a paradigm shift in the adoption of technology for water supply. The project is designed with significant community involvement to promote their long term resiliency and foster project ownership, with a gender-balanced focus. The project is aligned with the development goals on climate change adaptation plan of the GoC, including Colombia’s 2015 Nationally Determined Contributions. The project design was informed by significant local and national consultations and has been endorsed by the National Designated Authority (NDA). Colombia is among a list of most vulnerable countries in the world to extreme weather impacts due the high recurrence and magnitude of disasters associated with changing climate conditions. Between 1970 and 1999, Colombia experienced an average of 2.97 disasters per year. Both La Niña and El Niño have had, and continues to have, a significant impact in Colombia. The Seismic and Geophysical Observatory of Southwestern Colombia and the Office for Disaster Attention and Prevention state that between the years 1950-2007 rainfall related disasters increased by 16.1% especially during periods of La Niña. The Intergovernmental Panel on Climate Change (IPCC) estimates that the occurrence of disasters related to changing climate conditions in Colombia during 2000-2005 increased by 2.4 times when compared with the period from 1970 to 1999. Climate change has exacerbated Colombia’s vulnerability as the impacts of La Niña and El Niño have become more frequent and more intense. The most recent La Niña phenomenon (between 2010-2011) was particularly destructive causing sustained damage to much of the country’s infrastructure, economy and human lives. Colombia has, in the last decades, recorded an increased incidence of flooding and prolonged dry periods. These impacts are likely to be magnified as projected changes in precipitation and temperature unfold. ﻿National climate change projections suggest that regions across Colombia will be affected differently. Some areas will receive more precipitation. Other regions are expected to face a reduction of rainfall, which coupled with higher temperatures, threaten the availability of water in those regions. 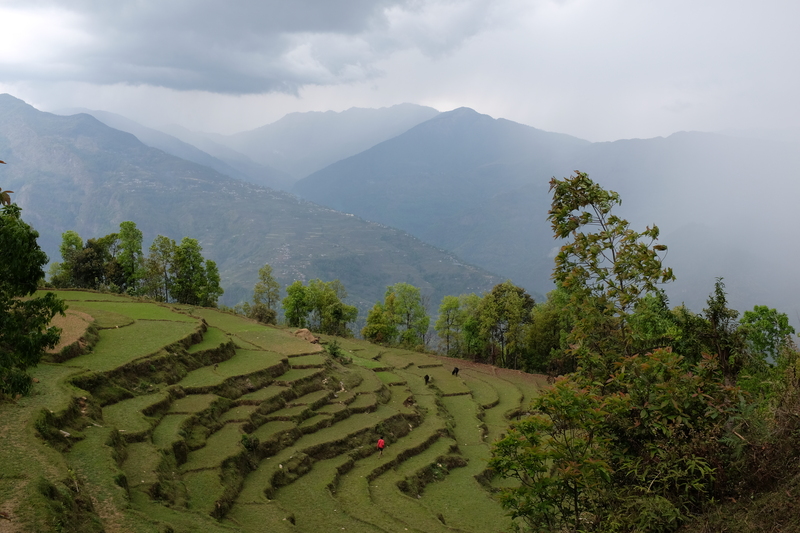 For example, projected average precipitation between 2071 and 2100 is expected to decrease by between 10-30% in a third of the total national territory. Municipalities in 14% of the national territory are projected to experience an increase of 10-30% in precipitation during the same period. With the prevalence of six very different climatic zones in Colombia, anticipated climate change projections call for adaptive solutions that are appropriate for each region. 27.8% of the total population and 47.8% of the rural population in Colombia is classified as poor, when measured under the GoC’s Multidimensional Poverty Index. While important gains have been made at poverty reductions, economic development has not spread evenly throughout the country. The 60-year-old internal conflict that ended recently isolated certain regions. The lack of continuous access of the government and associated public services to these regions produced development deficiencies in comparison to the national average. The result is pockets of highly vulnerable population to climate change impacts. 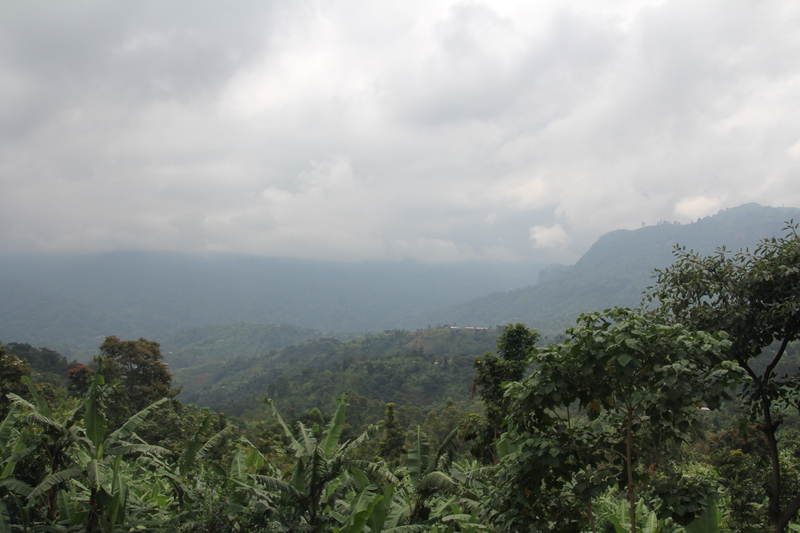 The La Mojana region, the focus of this project, is one such area. The GoC is aware of the impact that climate change will have on its economy and in the wellbeing of its population. Colombia’s National Adaptation Plan for Climate Change (PNACC) highlights key steps that the country must make as part of its long term planning and budgeting strategy. The strategy is to be followed by all levels of government to ensure that local action is based on regional priorities (informed by climate projections and vulnerabilities at a local level) and with a focus on protecting the most climate vulnerable, such as those in the region of La Mojana. While Colombia has made great strides in poverty reduction, positive impacts have not been evenly spread among all regions. This is the case in La Mojana, where poverty levels exceed 1.5 times the median poverty levels in the country. According to the last municipal measurement to the Multidimensional Poverty Index, La Mojana it is one of the poorest regions of the country. In 2005, 83.8% of the population of La Mojana was classified as poor (as measured by GoC’s multidimensional poverty index) when compared with 49.6% of the national average. This situation is a result of highly climate vulnerable work (agriculture and livestock based) that has been recurrently affected by extreme climate (flooding and extended dry periods), rural isolation, lack of basic services (water, sanitation and health) and low education achievement. ﻿Access to reliable sources of safe drinking water is one of the most critical issues in La Mojana. Over 42% of the population has no access to drinking water, and where water is available, the access is extremely unequal. 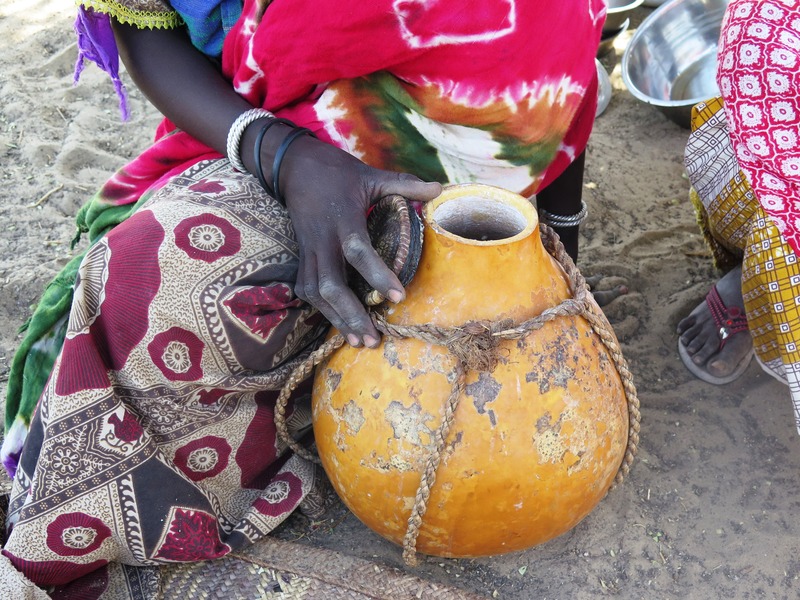 20% of the population in Magangué lack access to water. In contrast, more than 80% of the population in Achi and Ayapel do not have access to safe water. This situation is only going to be compounded and exacerbated by the projected reduction in precipitation and the higher incidence of more intense and frequent extreme events such as floods and prolonged dry periods. These extreme events, which are already observed today, will not only affect water supply (particularly during prolonged dry periods), but also water quality. During floods, polluted water infiltrates wells and results in contamination of groundwater. The impact on increased morbidity among the population is a concern. For example, in Achi, the second leading cause of death for children under 5 is acute diarrheal diseases (ADD) related to poor drinking water quality. The project will develop a groundwater flow and quality model to ascertain the long-term dependability of groundwater solutions (a solution that has been implemented in the past through both legal and illegal ground water wells at a household and productive level and has become more common as water has become more scarce). The project will implement a knowledge management program that will create a data bank on adaptive water management, systematize lessons learned and implement training and capacity building programs targeted to relevant stakeholders at the national, regional and local level. The data bank will systematize the lessons learned from the GCF Project and will serve to develop knowledge management tools created to target stakeholders in the region such as municipal authorities, community councils, community leaders, extension workers, productive associations and national authorities. This will include the development of training material (web courses, workbooks, planning guides, etc.) and targeted workshops. Activity 2.1.1. Provide household water solutions for the most water vulnerable populations in rural disperse areas. Activity 2.1.3. Adaptation of existing water infrastructure solutions in the region. GCF funds will be used to prepare and implement community restorations plans for 41,532 ha of the wetlands (lentic ecosystems) as well as to address the main underlying causes of wetland degradation- livestock use and over grazing. GoC co-financing funds will restore 50 km of wetland channels to reestablish the natural water flow of the three rivers in La Mojana. Restoration will ensure community participation and ownership through strategies aimed at reincorporating wetlands to their livelihoods. Activity 2.2.1. Establish an integrated wetland restoration plan and monitoring system. Activity 2.2.2 Implementing community restoration plans for integrated wetland restoration plan. Activity 2.2.3 Create ecosystem compatible livelihoods. Activity 2.2.4 Enhance women’s leadership in ecosystem restoration informed by climate change risks. Activity 2.2.5 will use GCF funds to address a key driver of wetland degradation and support the long term sustainability of community wetland restoration plans by developing a code of good practices for cattle livestock in wetlands. Output 3 will enhance the current early warning system through improved monitoring and forecasting capacity, increased hydrological coverage, and the dissemination of regional and productive relevant alerts that are tailored to users’ needs and communication channels. Management arrangements for the implementation process will include national government agencies such as IDEAM, the local environmental authorities (Corporaciones Autonomas), and the Regional Forecasting Center that is being created with co-financing from the GoC. Output 4 is focused on the promotion of agro-diverse and climate resilient crops in the region and the implementation of climate adapted productive practices to enhance rural livelihoods and enable resiliency to future climate outlooks for La Mojana. GCF funds under output will be used for research and implementation of adaptive local agriculture and livestock practices to favor correct water management at a household, productive and landscape level. The output will enable water resiliency in the region to ensure that livelihoods are adapted to climate projections. 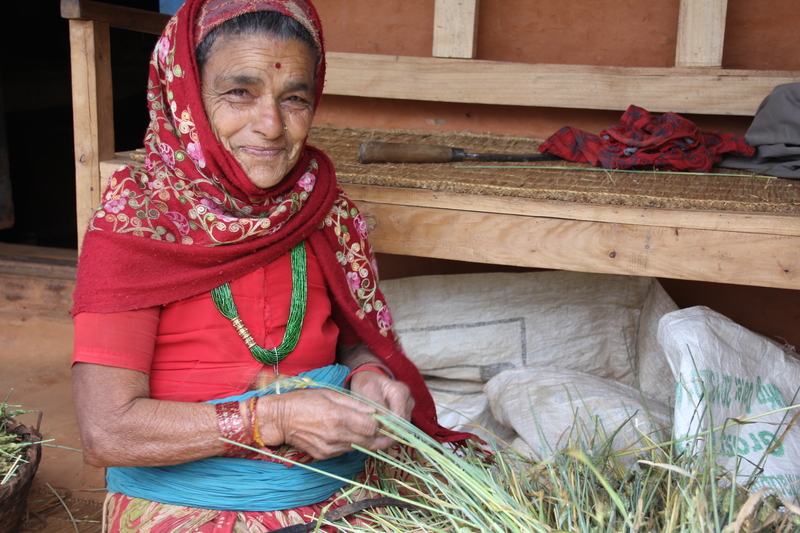 Activity 4.2 Improve rural extension for climate resilient adaptation and production. To insulate vulnerable communities from floods and restore wetlands, Colombia promotes the use of recycled materials, suspended gardens and climate-smart agriculture. “I have guavas, lemons, oranges, tangerines, coconuts, passion fruits, chilies, eggplants, yuccas, yams and rice,” says Doña Zoila Guerra, grey-streaked hair framing her sunburnt face. “Every year in December I sell yuccas, which are thin now, but will be good by Christmas.” She speaks proudly as she surveys the cilantro planted in the garden behind her house in the Cuenca Community in San Marcos, Sucre. In 2010, Colombia was hit by widespread flooding. The flood waters wiped out farms, and flows of contaminants from illegal mines damaged crops, poisoned fish and killed mangroves and trees, making it hard for families to put healthy food on the table. La cancillería de Colombia anunciño que en la 18ª reunión de la Junta del Fondo Verde para el Clima – FVC, Colombia logró que esa entidad le aprobara el proyecto “Scaling up climate resilient water management practices for vulnerable communities in La Mojana”, un proyecto que viene ejecutando el Ministerio de Ambiente con el PNUD Colombia desde 2010, que busca mejorar la adaptación al cambio climático de las comunidades en la Depresión Momposina. El proyecto, que se centrará en que las comunidades mejoren su gestión del agua, tiene un costo de US$117 millones, de los cuales, $38,5 millones son recursos no reembolsables del FVC. La forma como el dinero llegará a las comunidades será a través del Fondo de Adaptación y de las diversas entidades territoriales donde tiene presencia el proyecto. El proyecto es bastate ambicioso. De acuerdo con la cancillería, se ejecutará en los próximos ocho años, y cerca de 400.000 personas de las cuencas de los ríos Magdalena, Cauca y San Jorge se verán beneficiadas por el mismo. El Programa de Naciones Unidas para el Desarrollo (PNUD) será el encargado de ejecutar los recursos. Hasta el momento, el proyecto ya ha creado 1.300 huertas comunitarias que, a su vez, son resilientes al cambio climático. Las comunidades locales en los municipios de Ayapel, San Marcos y San Benito Abad han implementado prácticas agroecológicas resilientes al cambio climático. US$117 million from Colombia’s Adaptation Fund, including a US$38 million grant from the Green Climate Fund will benefit more than 400,000 people vulnerable to climate change Colombia, October 2, 2017 - The Green Climate Fund (GCF) approved a project to “Scale Up Climate Resilient Water Management Practices for Vulnerable Communities in La Mojana, Colombia.“ The project's actions are aimed at benefiting more than 400,000 people who will participate in strengthening water management, early warning systems and creating livelihoods resilient to climate change. The US$117 million project will be implemented by Colombia’s Adaptation Fund, among other national organizations, with the support of the United Nations Development Program (UNDP). The project adds a US$38.4 million grant from the Green Climate Fund to US$61.8 million in co-financing from Colombia’s Adaptation Fund and US$17 million from local entities. 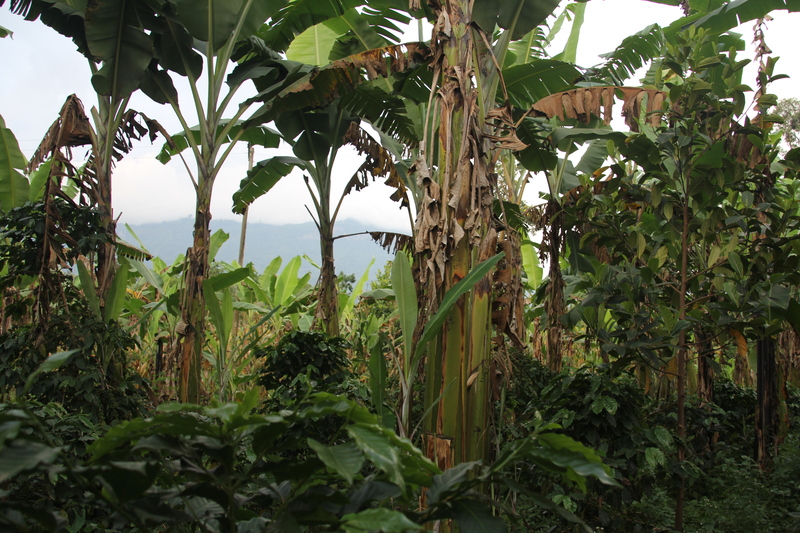 "The effects of climate change on La Mojana are severe. The income of its inhabitants is being affected by the loss of crops as well as by large-scale changes to their ecosystems, which translate into increased flood risks and prolonged periods of drought that are putting the lives and livelihoods of smallholder farmers at risk," said the Minister of Environment and Sustainable Development Luis Gilberto Murillo. El Fondo Verde del Clima, creado por las Naciones Unidas para apoyar a los países en desarrollo en la adaptación y mitigación del cambio climático, aprobó una donación de US$38,5 millones (aproximadamente $113.000 millones) para fortalecer la capacidad de adaptación de las comunidades de La Mojana, en Sucre, Córdoba y Bolívar, ante inundaciones y sequías. Dicho aval se dio durante la edición 18 de la Junta Directiva del Fondo Verde del Clima, realizada en el Cairo (Egipto). Los recursos se ejecutarán durante los próximos ocho años, es decir, hasta el año 2025. “El valor total del proyecto asciende a US$117,2 millones, por lo que los recursos restantes se financiarán así: US$61,7 millones del provendrán del Fondo de Adaptación y US$17 millones de entidades locales”, señalaron voceros de Planeación Nacional. Based on the climate change scenarios there is an expectation that by 2080, annual rainfall is forecasted to reduce up to 65% in the Northern Pacific Region. These extreme conditions will exacerbate climate and water stress in some areas. The “Strengthening Capacities of Rural Aqueduct Associations' (ASADAS) to Address Climate Change Risks in Water Stressed Communities of Northern Costa Rica” project aims to improve water supply and promote sustainable water practices of end users and productive sectors by advancing community- and ecosystem-based measures in rural aqueduct associations (ASADAS) to address projected climate-related hydrological vulnerability in northern Costa Rica. On the demand side, the project will mainstream climate change knowledge and strategies into public and private sector policy and planning in order to promote adaptation of productive practice to maintain ecosystem resilience to climate change. The initial plan will be executed by the UNDP Costa Rica Country Office in close cooperation with Rural Aqueduct Association (ASADAS) and the Institute of Aqueduct and Sewers (AyA) and other relevant stakeholders. The Country Office will recruit a team of national and international consultants to undertake the activities. In the course of implementation UNDP Panama Regional Centre will be consulted for advice and guidance as requested. This project targets three Socio-Ecological Management Units (SEMU) of Northern Costa Rica. The SEMUs 1, 2 and 3, as they are referred to, comprise the cantons (municipal territories) of Guatuso, Upala, Los Chiles, and La Cruz (SEMU 1), Liberia and Canas (SEMU 2), and Santa Cruz, Nicoya, Hojancha and Carrillo (SEMU 3). It has a total territorial extension of 10,608.9 sq-km and a population of 354,132 inhabitants. This region is targeted for SCCF financing as the supply of water resources is threatened by shortages as a result of climate change impacts. Currently the National Emergency Comission has declared a yellow alert due to a drought affecting the countys comprising SEMU 3. This will compound pressures as water consumption in the target area and is also expected to increase by at least 20% over the coming decades driven by an expected increase of exports of agro-industry products, while investments in water infrastructure, mainly by AyA (Institute of Aqueducts and Sewers), will be reduced due to fiscal and legislative constraints. Sustained increased demand of water resources by the agriculture sector and lack of finance investment towards water infrastructure is beginning to create stress on water availability in the area. Actual productive practices, mainly pineapple, livestock and citric crops with a high water footprint index are increasing pressure on irrigation, which according to available data, most are rainfed (83% of the total) while irrigation accounts for 17%. If climate change driven pressures are not addressed, Costa Rica´s SEMUs of the North region will inevitably experience significant water shortages that will have a severe economic impact on livelihoods and productive sectors. As a result of increased frequency of extreme weather events (particularly drought) local communities and farmers in Northern Costa Rica are currently facing reduction on their means of productions, as access to water and water infrastructure and facilities are critical to their livelihoods. Consequently the communities from the target area (SEMUs 1,2,3) are becoming increasingly vulnerable to climate variability. Approximately 1,900 ASADAS exist as locally organized groups of men and women from the user communities who are interested in the non-for-profit management of the local aqueduct and sanitation system. In a decentralized manner, municipalities and ASADAS provide services to about 46% of the total Costa Rican population. ASADAS alone administer and operation water systems for over 30% of the population, primarily for those in rural areas and border regions. Existing aqueduct infrastructure is often outdated and overloaded causing inefficient water service delivery, which in turn complicates the collection of fees from end users. Instability in fee-collection leads to financial uncertainty, which impedes the AyA’s ability to plan for and implement targeted improvements and new investments. Most ASADAS and the local governments of the target area need to develop the necessary skills and have access to knowledge tools and adequate investment, in order to address the scarcity of water supply. AyA’s current investment plan, including capacity development activities directed mainly to ASADAS, rarely incorporate community-based or ecosystem-based measures. In addition, financial institutions lack proven tools capable of providing correct incentives for private sector enterprises to integrate community and water-related adaptation measures. If these entities do not strengthen their capacities to cope with climate change, the vulnerability of rural populations of the Northern region of Costa Rica will increase. Outcome 1.1: Infrastructure and technical capacity of ASADAs strengthened to cope with climate change impacts to aquifers in the target area. Output 1.1.1.: Strengthened metering systems to track water supply to end-users (micro- and macrometers) in the ASADAS network provide updated information on climate-related risks and vulnerability of project area water resources. Output 1.1.2.: Water catchment (well, spring, and/or rain), storage, and distribution systems in rural areas improved and resilient to climate change. Output 1.1.3.: Water-saving devices installed in homes. Output 1.1.4.: Pilot sanitation and purification measures (e.g., sludge management and dry composting toilets) and other adaptive technologies for wastewater management to improve water quality. Output 1.1.5.: Water sources and associated aquifer recharge areas protected and/or rehabilitated through reforestation, natural regeneration, and other protection and conservation measures. Outcome 1.2: The capacity of ASADA end-users in particular that of women, Maleku indigenous communities and Nicaraguan migrant workers to mainstream climate change adaptation into their livelihoods systems is built. Outcome 1.3: Meteorological information integrated to sub-regional development plans and strategies to increase resilience of rural communities to address water variability. Output 1.3.1.: Fifteen (15) new Automated Weather Stations (AWS) and/or Automated Flow Stations (AFS) installed to provide consistent and reliable environmental data in real time in the selected SEMUs. Output 1.3.2.: Vulnerability Index, Adaptive Capacity Index developed and supporting the climate early warning and information system, and the Risk Management Plan for Potable Water and Sanitation (RMPPS). Output 1.3.3.: Information monitoring system for the AyA and the ASADAS’ Management System (SAGA) to track the impact of adaptation measures with the aim to reduce the vulnerability of rural communities to address water variability due to climate change, and articulated to national-level information systems (National System of Water Resources and Hydrometeorological National System). Output 1.3.4.: Climate early warning and information system on climate-related risks and vulnerability of project area water resources generated and disseminated to ASADAS, end users, and partners. Component 2: Mainstreaming of ecosystem-based adaptation into public and private sector policy and investments in the targeted area. Outcome 2.1: Ecosystem-based climate change adaptation measures are integrated into public and private sector policy, strategies and investments related to rural community water-sourcing infrastructure and services, i.e a national model of EcosystemBased Water Security Plans is developed by the project and formally endorsed by national institutions. Output 2.1.1.: Four (4) participatory RMPPS implemented within each target canton (SEMU 1: Guatuso, Upala, Los Chiles, and La Cruz; SEMU 2: Liberia and Cañas; SEMU 3: Santa Cruz, Nicoya, Hojancha, and Carrillo). Output 2.1.2.: The AyA and the CNE investments for the prioritized project area integrate climate change risks. Output 2.1.3.: Ten (10) livestock and agricultural producing companies adopt a voluntary fee system (Certified Agricultural Products and Voluntary Watershed Payments) to pay for the protection of water resources. Output 2.1.4.: Valuation modeling of ecosystem-based adaptation measures (UNEP methodology) and economic valuation of ecosystem services (UNDP methodology) support the integration of water-related risks and new ecosystems management practices within productive sectors (agriculture and livestock industry). Outcome 2.2: The purchasing and credit policies of at least 20 agricultural and livestock trading companies and 5 financial institutions operating in the target region promote adoption of productive practices that help maintain ecosystem resilience to climate change. 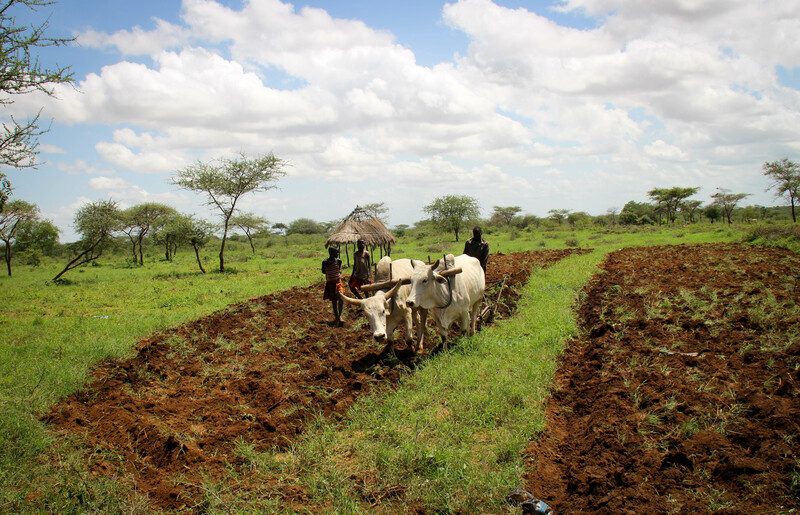 Output 2.2.1.: Farmers incorporate ecosystem-based climate change adaptation measures into their production processes, making use of revised purchasing and credit policies of agricultural and livestock trading companies and financial institutions. Output 2.2.2.: Knowledge management system allows disseminating data, information, and toolkits to foster and mainstream ecosystem-based adaptation practices in other water-intensive productive sectors across the country. FORTALECIMIENTO DE LAS ASADAS EN LA ZONA NORTE DEL PAÍS from PNUD Costa Rica on Vimeo. Component 2 - Mainstreaming of ecosystem-based adaptation into public and private sector policy and investments in the targeted area. 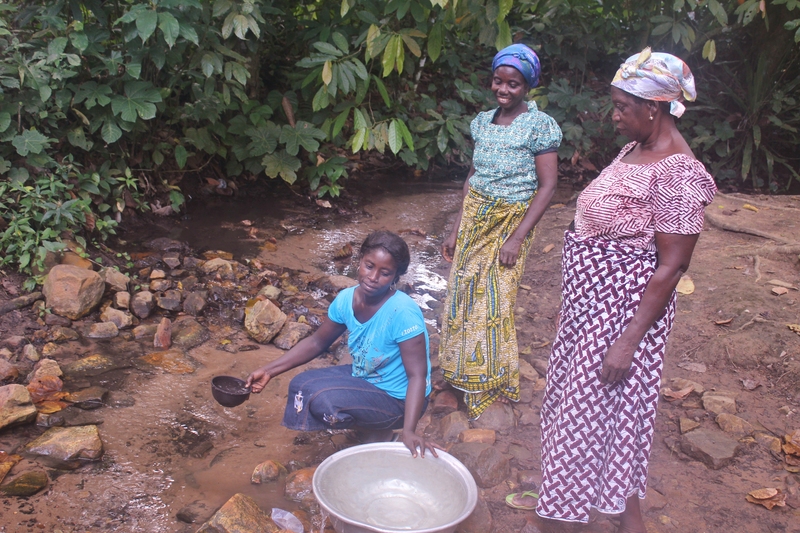 The main objective of the "Increased Resilience to Climate Change in Northern Ghana Through the Management of Water Resources and Diversification of Livelihoods" programme is to enhance the resilience and adaptive capacity of rural livelihoods to climate impacts and risks on water resources in the northern region of Ghana. The objective will be achieved through key results centered on the improvement of water access and also increase institutional capacity and coordination for integrated water management to support other uses of water resources especially for the diversification of livelihoods by rural communities. The programme targets the three regions in the northern part of Ghana: the Upper East, Upper West and Northern Regions. Compared to other regions of the country, these three northern regions have high degree of exposure to climate variability and change characterized by increasing temperatures and decreasing and erratic rainfall. These factors make the northern regions highly vulnerable to climate change and high priority regions for climate change adaptation. A conservative estimate gives a total of 60,000 people as direct beneficiaries of the project. The indirect number of beneficiaries comprises the entire population in the Volta River Basin, estimated to be 8.5 million as of 2010. Water is recognized as a cross-cutting resource underlying the National Growth and Poverty Reduction Strategy of the Republic of Ghana and the National Water Policy with direct linkages to the realization of the Sustainable Development Goals. The lack of potable water caused by extreme climate events such as droughts and floods, increases the exposure of people, especially women and children, to water-borne and other hygiene-related diseases such as diarrhoea, cholera. Besides household wellbeing, water plays a central role in many industrial activities. For example, hydropower generation, transportation services, tourism and the agricultural, livestock and fisheries sectors all depend on water resources. Rainwater harvesting serves as the major source of surface water for many rural communities during the rainy season. There is high agreement between national and regional analyses that vulnerability, especially to droughts, has geographical patterns and socioeconomic associations. The country experienced severe drought in 1983. Since the late 1990s, floods have been increasingly frequent in the northern regions. Floods affected more than 300,000 people in 1999, 630,000 in 2007/08 and 140,000 in 2010, causing deaths, damaging farmlands, and destroying livelihoods. This resulted in severe hunger, which affected the poor and reduced gross domestic product for that year. The most severe flood occurred in 2007, during which 630,000 people were affected, through losses of life and displacement, and extensive infrastructural damage and loss of crops. This phenomenon demonstrates the potential impact of climate change on Ghana’s development. Under a changing climate, poor farmers are finding it difficult to predict the timing of rainy seasons. Consequently, it is becoming difficult manage climate risks to crop production. Failure in crop production is one of the key factors undermining food security . The World Food Programme’s (WFP) Comprehensive Food Security and Vulnerability Analysis (2009) found that 5% of the population or 1.2 million people are food insecure. The bulk of the food insecure population is located in the northern regions: 34% in Upper West, 15% in Upper East, and 10% in Northern region. This is the equivalent of approximately 453,000 people. The three northern regions covered by this programme are the most vulnerable. Similarly, the adaptive capacity of these three regions is the lowest nationwide due to low socioeconomic development and the heavy dependence of local economies and livelihoods on rain-fed systems such as agriculture and forestry. 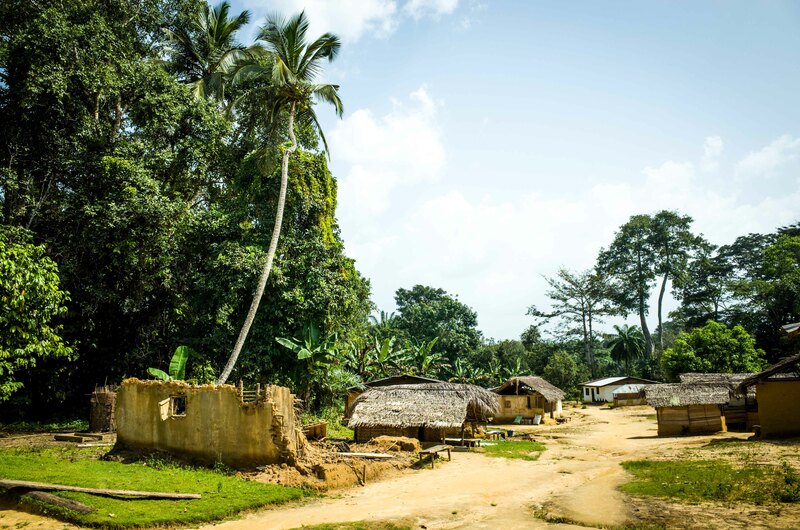 Decreasing annual rainfall and its increasingly erratic pattern, on the background of climate change, are adversely affecting rural livelihoods in northern Ghana and in particular agricultural and pastoral practices. Agriculture is a major driver of Ghana’s economy and employs close to 55 percent of the total labour force. The proposed Programme will promote four types of adaptation intervention: 1. livelihood enhancement; 2. livelihood diversification; 3. ecosystem protection and enhancement; and 4. community-level water infrastructure planning. These approaches will build up financial, natural, physical and social capital of the communities. 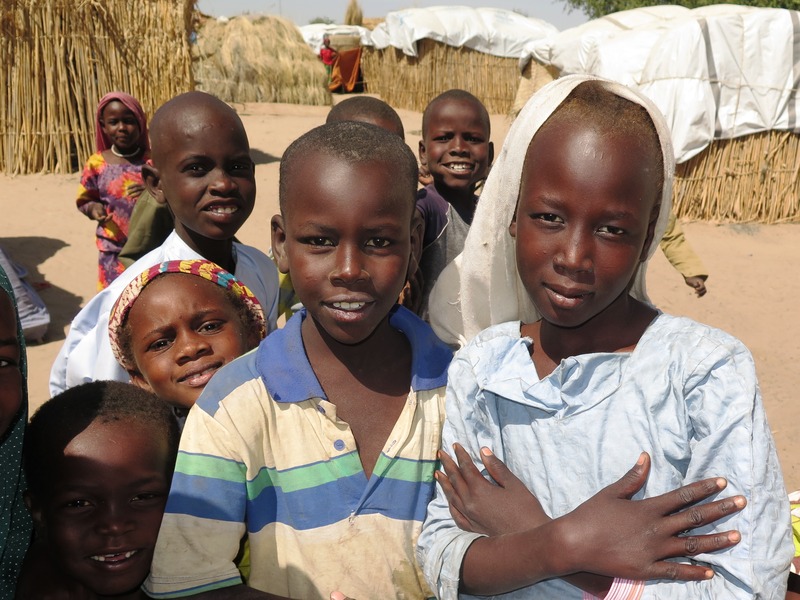 A conservative estimate gives a total of 60,000 people as direct beneficiaries of the project. The indirect number of beneficiaries comprise the entire population in the Volta River Basin, estimated to be 8.5 million as of 2010. The main indicator of vulnerability reduction will be changes in access to water and diversification of livelihood activities. Income generation will increase by 30 % in at least 50% of households in the communities. The main adaptation benefits of the Programme are that it will be able to provide concrete inputs into water resource management planning in the northern region by ensuring that climate change concerns are taken into account. The Programme will be able to build and enhance the adaptive capacity of the ecological systems of water catchments to climate change, once the proposed measures are adopted and implemented. This is expected to be the first showcase in the Ghana where climate concerns are taken into account and lessons learned will be replicated to other river basins of the country. The activities that will be implemented will include producing knowledge products that capture lessons learnt on management of water resources and diversification of livelihoods under climate change. The capacity to document traditional knowledge systems as well as methods for managing knowledge will be developed, as well as the engagement of community service organizations for knowledge transfer. The main objective of the programme is to enhance the resilience and adaptive capacity of rural livelihoods to climate impacts and risks on water resources in the northern region of Ghana. The objective will be achieved through key results centered on the improvement of water access and also increase institutional capacity and coordination for integrated water management to support other uses of water resources especially for the diversification of livelihoods by rural communities. The Chiefs and people of the Northern, Upper East and Upper West Regions have been urged to embrace the Adaptation Fund Project to help increase climate resilience and enhance sustainable land and water management in the areas. The Adaptation Fund was established under the Kyoto Protocol of the UN Framework Convention on Climate Change in 2001 to finance concrete adaptation projects and programmes in developing countries that are particularly vulnerable to the adverse effects of climate change. The Ministry of Environment, Science, Technology and Innovation (MEST) with support from the United Nations Development Programme (UNDP) is implementing the project in some selected communities in the north. Mr Asher Nkegbe, the Upper East Regional Director of the Environmental Protection Agency (EPA), made the call when the technical team of the Project undertook separates community visits to the beneficiary communities in the Upper East Region to engage them on the project implementation and to solicit for their support in the process. The United Nations Development Programme is working with the Government of Liberia to ensure investment of a new tranche of US$4 million from the Least Developed Countries Fund is used to reduce the vulnerability of physical assets and natural systems, protect coastal areas, and mitigate carbon dioxide emissions. The "Enhancing Resilience Of Liberia Montserrado County Vulnerable Coastal Areas To Climate Change Risks II" project will work to build national capacity and drive policy coordination in the coastal county of Montserrado to plan and respond to climate change. The project will benefit from a proposed US$2.2 million Global Environment Facility Least Developed Countries Fund grant and US$2.1 million in co-financing. The project will contribute to global environmental benefits and improve the livelihoods of the citizens of Liberia with the improved management of 300 million hectares of seascapes, placing 120 million hectares under sustainable land management practices. It will promote the collective management of transboundary water systems, and implement a full range of policy, legal and institutional reforms and investments to contribute to the sustainable use of ecosystem services. Large environmental benefits are also planned. Most notably, 750 million tons of Carbon Dioxide will be mitigated and 1000 tons of mercury will be reduced. The Liberia coastline is subject to see level rise. Indeed, by the year 2090, the SRESB1 predicts a rise of sea level between 0.13m and 0.43m, whereas SRESA1 predicts a rise of between 0.18m and 0.56m , relative to 1980 - 1999 mean , (INC, 2013). This forecasted sea level rise, combined with increased intensity of storms and potential storm surges is very likely to accelerate the present catastrophic situation of coastal erosion. The orientation of Liberia’s coastline and its location on the Gulf of Guinea coastline, make it particularly exposed to the southern Atlantic annual sea storm surges. These surges lead to average tidal rises of over 2m during a brief period in spring – a major driver of coastal erosion. According to the NAPA (2008), the areas along the coast where erosion is most severe are Montserrado County coastlines, (West Point and New Kru Town and River Cess), Buchanan and Cestos Cities. In the Montserrado County, sea-level rise would lead to shoreline retreat. The intensity of the retreat would vary along the coast from between 10 meters/year in the higher cliffed zone (e.g. between Mamba Point and Sinkor) to about 20 meters/year in the lowlands on Bush Rod Island. A considerable population is currently residing and working in these threatened zones, particularly around West Point. Another important expected impact of sea level rise is direct inundation of low-lying wetlands and dry land areas. For example, over the last 40 years, Liberia has experienced a number of climate-induced and sea-induced disasters. Communities such as New Kru Town and Hotel Africa in Montserrado are regularly under water. According to the Environment Protection Agency (EPA), it is projected that a one meter sea level rise (scenario B2) would lead to permanent inundation of about 95 km2 of land in the coastal zone of Liberia. With a one-meter sea level rise, densely populated parts of t he capital city of Monrovia and its environs – including West Point, Hotel Africa, Kru Town and River Cess would be submerged. These are currently the housing areas for tens of thousands of people. A conservative estimate suggests about 250 million United States Dollars worth of land and infrastructures (such as the Hotel Africa complex) would be lost . The anticipated socio-economic impacts of the nexus of sea-level rise, coastal erosion and regular coastal flooding are largely negative and potentially disastrous for coastal communities. These factors are likely to have most impacts in the most densely populated areas such as the coastal areas of the County of Montserrado with large numbers of poor people. They are likely to destroy property, destroy rural infrastructure (markets, roads, centres, clinics), to destroy land, to destroy livelihood equipment (boats, mobile market stands, stoves, etc). Quite simply, the poor people have nowhere to go and no way to protect their personal and community belongings. Montserrado coastal communities are already observing and feeling the impacts of the sea-level rise, coastal erosion and coastal flooding nexus. Output 1 – Capacity of the climate change secretariat enhanced to drive policy coordination in the coastal county of Montserrado to plan and respond to climate change. • 1.1. Raised awareness of senior county officials, decision-makers and stakeholders. • 1.4 Semi-skilled workers able to prepare, build and maintain gabions and revetments etc. • 1.6 County Development Agenda that fully addresses climate change prepared and approved. • 2.3 Hotel Africa and New Kru Town communities protected from climate change impacts. If the Liberian government succeeds in ensuring that the coastal defense project to save D-Tweh High School in New Kru Town is properly completed, the school stands another 50-year guarantee, according to engineers. Over the weekend, President George Manneh Weah formally launched the commencement of the project which could see the school withstands the eroding pressure from the Atlantic Ocean. Speaking during the official launch of the coastal defense project Friday, July 13, in the Borough of New Kru Town, the President said the project was just one of the many projects to come. He promised that his government will remain focus despite criticisms: “As a government, our responsibility is to perform, give to you what you need and not to give you those things that you do not need. “I was always there with you when I was not a President. Now that I am your President, I will always be there with you and for you. I hope and pray that this project will not be sabotaged because it will be supported,” the Liberian Leader stated.He pledged his government’s commitment to working with its international partners, especially the United Nations Development Program (UNDP), in helping the people of New Kru Town to prevent the sea erosion. Outcome 1 – Vulnerability of physical assets and natural systems reduced.